Christianity has always played some part in what an average viewer would identify as mainstream Hollywood cinema. Even the most innocuous of films will usually adhere to the simple, Christian, moral codes engrained in the prevailing culture (and thereby the psyche of the spectator). Indeed, between 1930 and the late 1950s, the strictures of the Production Code, a strict censorship regime written by a Jesuit Catholic priest, ensured that a Christian worldview was enshrined in every single film released in the US. 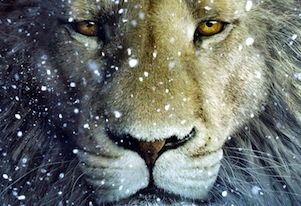 This Christian worldview continues in the contemporary cinema, with numerous examples of Christian-orientated films such as Mel Gibson’s immensely successful The Passion of The Christ (2004) and the Chronicles of Narnia trilogy (2005, 2008, 2010). Alongside the all pervasive presence of Christianity in mainstream Hollywood there are also a growing number of independent production companies making films tailored for an evangelical Christian audience. As Terry Lindvall explains in his book Sanctuary Cinema, these “Christian films are films of, by, and for the people of the church, not aspiring to high aesthetic values nor aiming for economic profit, but seeking to renew, uplift and propagate” (1). This evangelical cycle of films can be traced back to the mid to late 1990s and all share a particular modus operandi in that they are not given a release outside of the US and rarely exceed a production budget of $2m. This mid-scale, nationally orientated approach allows the films to identify a clear and receptive audience and cover their costs. Because the films are distributed to a relatively small audience with coherent and politically homogenous views there is little need for the kinds of consensus-seeking compromise that marks much commercial entertainment. and this leaves the producers to focus on their primary aim: the promotion of evangelical Christian ideology without compromise. As Lindvall notes these “are tribal films, told and retold within their own community to carry its traditions and values. The makers of these films go against the grain of mere entertainment to produce a genre of religious cinema that is remarkably political” (1). The most notable of the recent Christian production companies is Sherwood Pictures. Spearheaded by Alex Kendrick, who directs and stars in all of the company’s films, each of Sherwood’s four films has turned a profit: Facing The Giants (2006) ($10m against a $100,000 production budget), Fireproof (2008) ($33m against a $500,000 production budget) and Courageous (2011) ($34 million against a production budget of $2 million). The production company itself was set up as a part of the Sherwood Baptist Church, of which Kendrick is a Pastor of Media, and keep costs down by using members of the religious community as cast and crew. Much contemporary Christian cinema is organised around the idea that the film can in some way help the viewer find God. All of Kendrick’s films present the audience with simple and recognizable problems and demonstrate how those problems are solved by submission to the teachings of Christianity. In Facing the Giants (2006) a failing football team finds success after submitting to prayer and Christian ethics; in Fireproof (2008) a failing marriage is saved by Christianity; and in Courageous (2011) an emotionally distant family is brought together by Biblical teachings and Church going. Other films, such as Possibility Pictures’ Letters To God (2010), show characters with personal problems (in this case alcoholism) that are overcome through an acceptance of Christianity. This tendency is in step with a wider self-help zeitgeist in US culture, exemplified by the infamous twelve-step program, in which Christianity and God are sold as a cure-all to social and personal problems. This self-help ethos also allows Christian cinema to circumnavigate a problematic issue concerning the Church’s stance on cinema as a whole. As Lindvall points out “[m]oving images [are] theologically problematic for many adherents of the second commandment” which forbids the production of “graven images” (15). However, by directing the viewers’ attention back to the written word of the Bible, and thereby encouraging them to become more involved in the church, the film acts less as a profane visual indulgence and more as a call to prayer. As such, many of the films are released with accompanying books and Bible study guides; Fireproof’s accompanying book, 40 Day Love Dare, for instance, sold 120,000 copies as of 2010 (Shoard). Other examples of this trend include outwardly Christian production company PureFlix, which has recently produced an adaptation of a novel written by Pastor John Charles Hagee, titled Jerusalem Countdown, which centres on a plot wherein the United States and Israel are under threat of nuclear destruction by Russian-Islamic conspiracy which will bring about Armageddon. 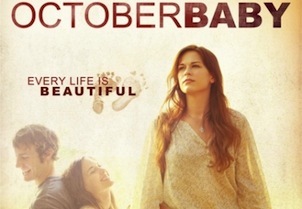 October Baby (2011) depicts a young woman attempting to track down her birth mother after discovering she was adopted after a failed abortion. The film carries a heavy-handed anti-abortion message and the producers donated ten per cent of the film’s profits to pro-life organisations. The film’s website also encourages viewers to become part of ‘October Baby Action Squads’ which will help to spread the anti-abortion message and further publicise the film. In order to appeal to children and a wider family demographic the expansion of evangelical Christian cinema has also included the production of animated films. The origins of this trend can be traced back to the success of the VeggieTales franchise created by Phil Vischer and Mike Nawrocki in 1993, in which a group of animated vegetables re-enact biblical stories. The VeggieTales have enjoyed financial success and popularity for nearly a decade now but their wide distribution (including on NBC network) has resulted in a toning down of their Christian message, leaving a gap in the market and allowing more evangelical Christian animation, such as that produced by Animated Family Films, to fill the void. Animated Family Films does not promote itself as a Christian company though its films are exclusively, and overtly, Christian in content. Upon contacting the company directly, the office of company president Johan Sturm described the company as religiously motivated however it prefers to use the label of ‘faith-based’ as opposed to Christian. The company, however, lists some interestingly hard-line affiliates including Answers In Genesis, an entertainment company designed to promote creationism and the scientific truth of the Bible (founded by the creator of the Creation Museum and outspoken anti-evolutionist, Ken Ham) and The International Christian Embassy of Jerusalem, a pro-Zionist and pro-Israel organisation that seeks to promote the legitimacy and strength of the state of Israel. The subsidiary of Animated Family Films, Animated Kidz, also promotes its own Christian youth camp, referred to as Bible Island. Indeed the Christian youth camp lies squarely at the heart of contemporary Christian filmmaking. The concept of family wholesomeness is not just key to the industry’s image, it is also key to an overall plan held by most Christian media producers to not only create Christian films but to also create a larger infrastructure in which children and families can be raised according to evangelical Christian values, in which cinema is but one of the components. As Michael Catt, the senior Pastor who oversees Sherwood Pictures, explains “we learned that church was sliding down the scale while movies, media and music were becoming the predominant means of influence. Since the church was listed behind sports, education and movies we concluded we could either complain about this or address it. This mindset has been the key initiative behind the development of the Sports Park, Sherwood Christian Academy and Sherwood Pictures”. The current perilous state of the global economy has also benefitted evangelical Christian cinema. As Shoard notes “[t]he economic downturn means people are hungrier for tales of everyday folk overcoming adversity. Recession has also left a hole in film-making: studios still fund blockbusters, but low-budget dramas are harder to get off the ground. And film-makers – directors, actors, screenwriters – will go where they can get paid. Faith films may not be critically credible, yet, but some of the same people work on them, pseudonymously, as they do on hipper indie movies”. The comfort that US audiences have clearly found in the familiar, redemptive, message of evangelical Christian cinema, as confirmed by the box office success noted above, has not gone unnoticed by the major studios. In 2006 News Corporation attempted to capitalize on the trend by creating its own ‘faith-based’ distribution subsidiary FoxFaith. FoxFaith garnered meagre results and by the admission of fellow Christian filmmakers and distributors the brand is more a hindrance than a help when promoting a film. According to Mark Moring the company is experiencing “hit-and-miss results, with poor box office numbers”. However, in March 2010 Paramount Pictures established its own “micro-budget” subsidiary, Insurge Pictures, and were immediately more successful in capitalizing on the trend: their latest offering, The Devil Inside (2012), is a religiously orientated horror film which seeks to convince its audience of the validity of its demonic possession plot via a “found-footage” shooting style. Promoting itself as based on actual events, the film contains messages at the end that direct the audience to the literature on demonic possession. The film was made on a budget of $1m and has taken close to $100m worldwide. Catt, Michael. “Our Beginning”. Sherwoodpictures.com. n.d. Web. 12 March 2012. Deacy, Christopher. Faith in Film: Religious Themes in Contemporary Cinema. Ashgate Publishing Limited, 2005. Print. Lindvall, Terry. Sanctuary Cinema: Origins of the Christian Film Industry. New York University Press, 2007. Print. Moring, Mark. “FoxFaith: Is It Working?”. Christianitytoday.com. 10 Sept. 2007. Web. 12 March 2012. Shoard, Catherine. “Faith Films Perform a Marketing Miracle. Guardian.co.uk. 17 June 2010. Web. 9 Mar. 2012.